MummyPages is delighted to announce the launch of its Christmas fundraising initiative that the whole family can get involved in. 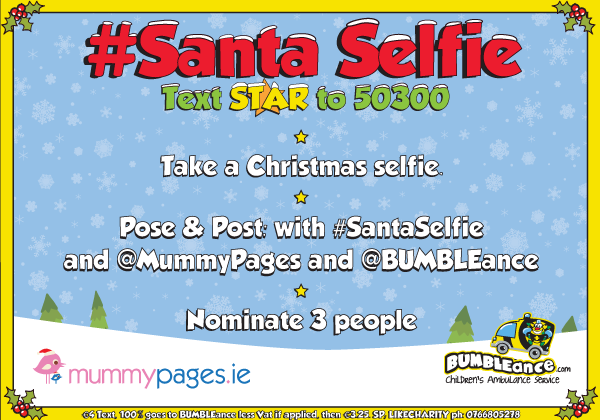 The #SantaSelfie campaign starts today in Ireland and the United Kingdom with the help of three year old Lucy and her mum Laura Haugh who posted the first festive image on social media followed by a text donation to the campaign’s children’s charity partners BUMBLEance and Rays of Sunshine Children’s Charity. 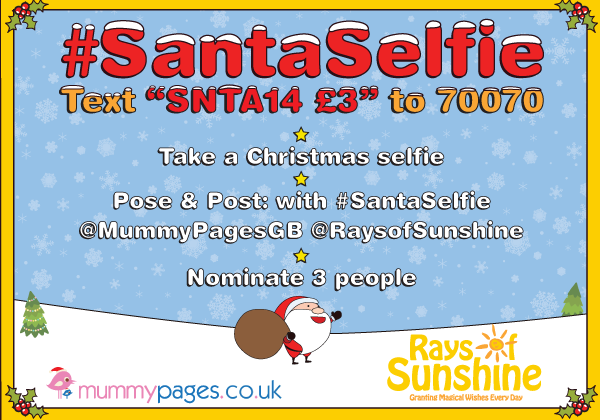 MummyPages is encouraging men, women and children all over Ireland and the UK to get into the Christmas spirit by posing for a #SantaSelfie. The Christmas inspired selfie can then be posted on social media with the #SantaSelfie and participants should nominate three of their family or friends to join in the fun.